The HP LaserJet P3005 is ideal for document intensive environments requiring high quality and low maintenance. You won't be waiting around for your precious documents with a 35 page per minute print speed and you won't spend lots of time fixing problems with your printer. 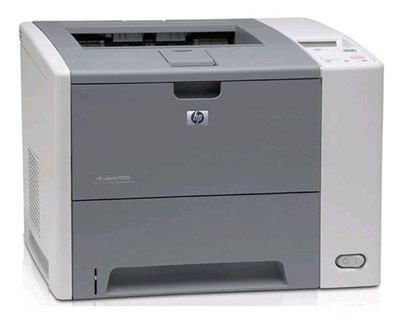 The LaserJet P3005 features HP Web Jetadmin, which helps IT professionals install, configure and remotely mange all network peripherals through a simple web interface. Whether you're printing internal office documents or customer presentations you’re sure to see great-looking output. Using advanced printing technology and HP toner, this HP LaserJet delivers true 1200 dpi quality for crisp black text, clear details, and fine lines.